Xi Jinping Thought on Socialism with Chinese Characteristics for a New Era was developed amid the remarkable development of the country since the 18th National Congress of the Communist Party of China (CPC). Comprehensive and rigorous governance over the Party has been warmly welcomed by the people. And the drive to build a clean and honest government has achieved historic success. According to the 18th CPC National Congress, strict governance over the Party is a necessary requirement for the Party to uphold its historic mission, respond to the people’s needs and solve problems head-on. Xi Jinping, general secretary of the CPC Central Committee, has always emphasized strict governance over the Party. 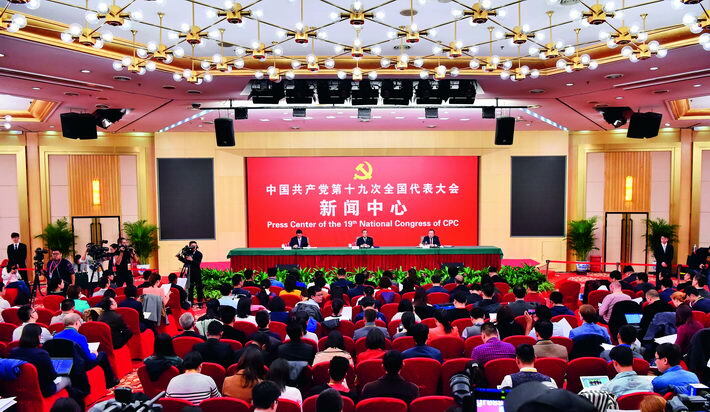 On November 15, 2012 at a press conference held by members of the Standing Committee of the Political Bureau of the 18th CPC Central Committee, Xi declared, “Our responsibility is to work with all the comrades in the Party to uphold the principle that the Party should supervise its own conduct and run itself with strict discipline, effectively solve major problems in the Party, improve our conduct and maintain close ties with the people. By so doing, we will ensure that our Party will remain at the core of leadership in advancing the cause of socialism with Chinese characteristics.” This statement years ago evidences that since the early days of his leadership, strict governance over the Party has been the focus. The report to the 19th CPC National Congress included crucial political decisions such as the conclusion that socialism with Chinese characteristics has entered a new era. This is an important development culminating from the historic achievements and historic changes of the past five years. The Party with Xi at its core has demonstrated tremendous political courage and a great sense of mission. It has solved many tough problems that were long on the agenda but never resolved, and accomplished many things that were wanted but never got done. Also, full and rigorous governance over the Party resulted in highly increased efficiency. Improving Party conduct has been an eternal theme of Party building. 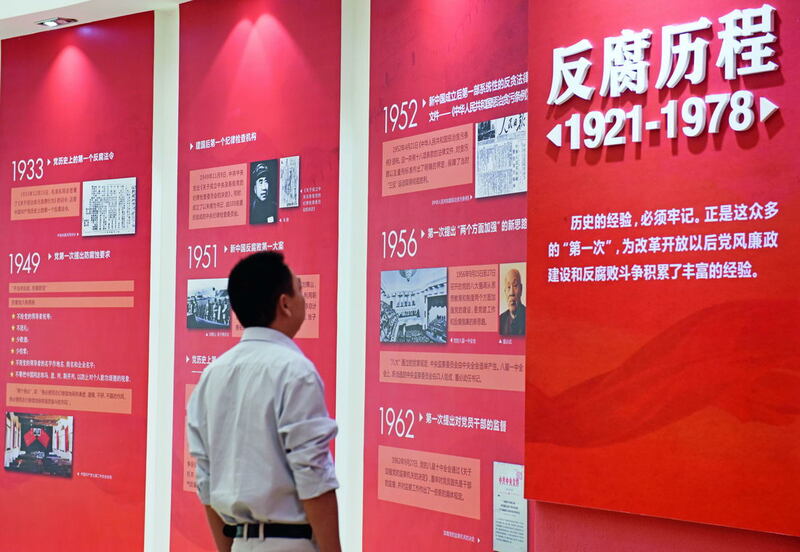 Along the 97 years of development of the CPC, efforts to this end have produced some of the greatest successes and achievements of the Party during the process of the Chinese revolution, construction and reform. And the CPC has closely linked the importance of improving Party conduct to the Party’s cause. Party building is a journey to which there is no end. Different eras call for different tactics to improve Party conduct. Before the reform and opening-up period, the long-term “left-leaning” mistakes and the ten-year “cultural revolution” (1966-1976) decimated the caliber of Party conduct, so in its wake, this mission has remained a problem threatening the survival of the Party. However, since the 18th CPC National Congress, by focusing on persisting Party conduct issues during the development of socialism with Chinese characteristics, the CPC has enhanced its tactics for improving the conduct of Party members and promoting comprehensive and strict governance over the Party. The task in the early days of reform was to arrange order out of chaos, and the mission has since evolved into a drive to strengthen the right and eliminate the wrong, both of which require improvement of Party conduct to seize the spirit of the times. At the first collective study of the Political Bureau of the 18th CPC Central Committee, General Secretary Xi Jinping stressed that it has always been the CPC’s consistent and clear political position to combat corruption, promote political integrity and keep the Party healthy, and that building a fine Party culture and a corruption-free Party is a major political issue of great concern to the people. Since its 18th National Congress, the CPC has launched various activities to inspire Party members to walk the straight and narrow and maintain a strict stance against the practice of formalities for formalities’ sake, unnecessary bureaucracy, hedonism and extravagance. Through great efforts, it overcame the difficulties in establishing comprehensive and strict governance over the Party and improving the conduct of Party members. Improving Party conduct is a highlight of the CPC’s work in the new era. Improving the conduct of principal Party members and officials is crucial. As role models of the Party, principal Party members and officials influence the conduct of the whole Party. Xi stressed on correcting the critical minority of top cadres and ensuring high-quality cadres at all levels. To meet the necessary standards, they should not only be firm in political and theoretical conviction, but also demonstrate excellent conduct. 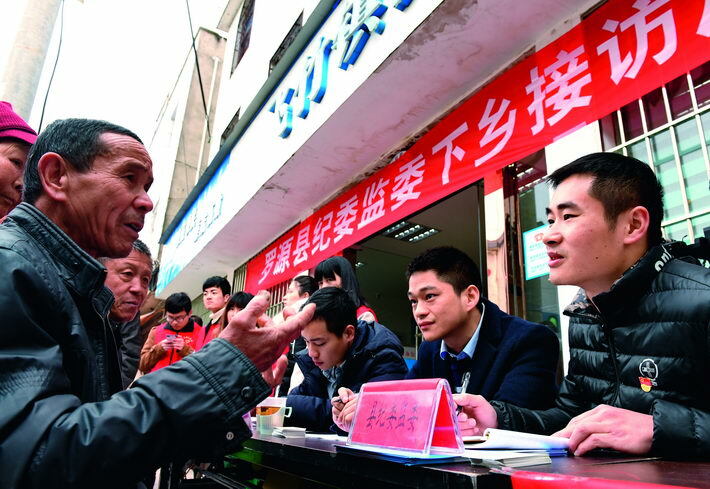 Strengthening Party rules and enforcement of regulations guarantees better conduct of Party members. While exercising strict self-governance on all aspects of the Party, the CPC combines strengthening rules and regulations with improving conduct, turning the page on a new chapter for Party building. Xi once stressed that the Party should seriously implement comprehensive measures for improving conduct, that all regulations should be followed, and that all those who disobey the rules should be punished. He also noted that deepening reform should provide long-term guarantees for excellent conduct. Xi has elaborated that as a ruling party guided by Marxism, the CPC should not only be guided by the great power of truth, but also conduct itself with the utmost moral quality. The power of truth is manifested by the correct theory of the Party, and the power of moral quality is displayed through excellent conduct. The CPC should combine rule-based Party governance with ruling by virtue. Regulations and punishment should be emphasized, and Party members should be guided by strong beliefs and sound morals to enhance the noble character and integrity of Party members in the eyes of the public. Practice has always been carried out under specific historical conditions. The CPC’s emphasis on improving Party conduct in the new era has distinct characteristics of the times. 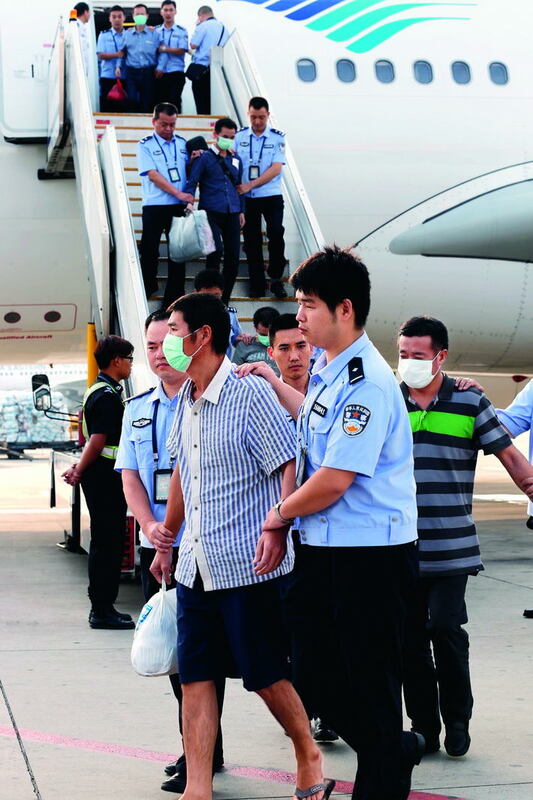 First, it firmly grasped a people-centered political stance by improving Party conduct. Improving Party conduct keeps the Party healthy. But the significance of strengthening Party conduct is not limited to the Party itself. Party conduct directly affects the people, and a people-centered philosophy should be the emphasized political stance of Party members. The CPC’s conduct should be determined by its advanced nature as a Marxist party. The consistency of the interests of the Party and the people and ensuring full and strict governance over the Party require a people-centered approach. As Xi Jinping said, “We must guard against and correct with resolve the practices the people oppose and resent.” Serving the people is an important feature of Xi’s thought on strengthening Party conduct. Second, the CPC is striving to solve major dilemmas and problems hindering improvement of Party conduct. Since the 18th CPC National Congress in November 2012, the Party’s conduct has improved and new accomplishments have been made through solving problems. It has diagnosed the problem, formulated a plan and taken action to win over both Party members and the general public with remarkable improvements in Party conduct. Targeting existing problems is another important feature of Xi’s thought on strengthening Party conduct. Third, the Party is paying more attention to top-level design to strengthen Party conduct. Since the 18th CPC National Congress, improving Party conduct has focused on addressing the “four forms of decadence,” acting in strict accordance with the code of Party conduct for intra-Party political life, strengthening internal oversight, improving the Party’s political ecosystem, and resolutely correcting misconduct in all forms. Xi’s thought on strengthening Party conduct embodies the distinct features of top-level design and guides the new stage of advancing Party governance in a comprehensive way. Fourth, improving Party conduct demands the courage to carry out self-reform. The great social reform carried out by the Party requires the courage to carry out self-reform, face problems head-on and conduct self-analysis. Chronic and persistent conditions need to be addressed with courage. Improving Party conduct in the new era requires determination strong enough to “leave footprints on the road we walk and handprints on the iron we grasp” and perseverance in anti-corruption efforts to achieve final success. The author is a professor at East China Normal University and a research fellow with the Shanghai Research Center of Xi Jinping Thought on Socialism with Chinese Characteristics for a New Era.